More than the 12,000 new cases of cancer that are diagnosed every year can be attributed to being overweight. 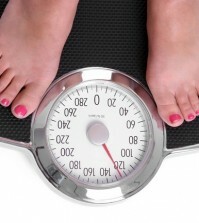 This just revealed in a new study that links a person’s BMI (body mass index) to cancer. In fact, being overweight was connected to 10 common cancers. Every 5 point increase in a person’s BMI (which would be about 17 kilos) added as much as an additional 62 percent risk of a person developing certain cancers. Converting this into pounds means that every 8 to 10 pound increase could mean as many as 3,700 new cancer cases every year. Although it’s been thought for some time that carrying around extra weight increases a person’s chance of developing chronic diseases and cancer, the actual details and percentage points have never actually been studied in such detail before. This study was published in The Lancet and it studied the personal records of more than 5 million people in England. Unfortunately, excess pounds are hard to come by but hard to get rid of! Once you start eating sugar and junk food every day, your cravings for those foods grows stronger and stronger. Eventually, this will lead to excess weight, health problems, and, eventually, cancer. SEE ALSO: Does Eating Soy Cause Cancer? As your BMI increases, so will your risk for cancer. 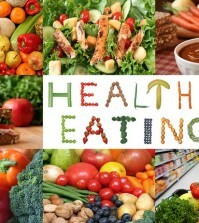 Cancer, like all living things, needs something to feed on in order to grow and take a guess what its favorite food is? That’s right, sugar. The same sugar that causes those excess pounds, diabetes, and cardiovascular disease. Although this study was done in the UK, it’s simply an example of the things that are happening around the world, anywhere where a typical Western style diet is adopted. This study shows that there is a great deal of variation in the effects of a person’s BMI on different cancers. 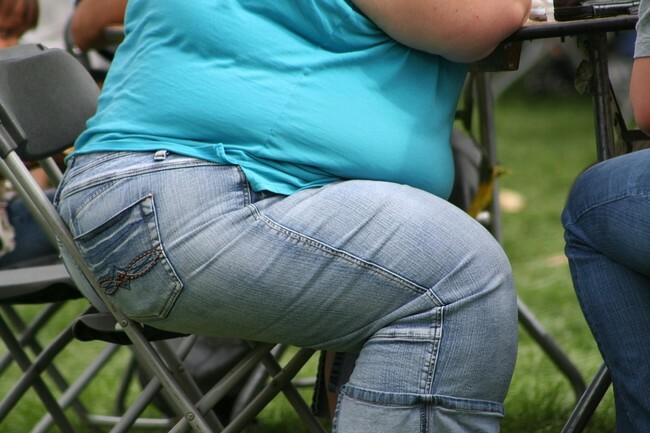 In fact, this study suggests that more than 40 percent of uterine cancer cases are due to obesity. Exactly how our fat impacts our cancer risk is not understood, but it obviously does so depending on the cancer type. It’s a complex relationship but there is one thing that is clear from this study, keeping excess weight increases our risk of developing cancer. The good news is that this is all very preventable and unnecessary. Hopefully, Americans are going to pay attention to this study and wake up to the facts. It’s not hard to suppress your appetite with organic fruits and vegetables but most people aren’t willing to give it a try. Your body has natural, built in sensors that will tell you when you are full but it does react differently to different foods. Eating a vegetarian based diet means that you might have to eat more often, but it’s a healthy diet so it’s not a problem. Yes, switching to a healthy, organic, vegetarian based diet will mean you have to fight those cravings for a few days, but not much longer than that. Then you are free from sugar and all its dangers. You should also add exercise to your daily life. It doesn’t need to be strenuous, just simple walking, jumping rope, dancing in your living room (Read more about exercises that make far disappear). You will find that your body responds better to exercise when it’s filled with nutrition dense natural foods rather than junk foods, GMO foods, and processed foods that contain little or no nutritional value. The government should do a better job of education people about the importance of weight control and eating a healthier, vegetarian based diet. The United States, along with most other developed countries, are in serious need of a complete overhaul of the “certified organic” foods that are available and many cases of cancer would disappear almost like magic.